A Low cost A/D with a Potential of 5KV Isolation from Computing elements by use of Normal/Special Opto-Couplers. This can give better resolution and accuracy than a 8 bit A/D. may be close to 10 bit A/D. Added advantage is that you can optically isolate the inputs. Suppose your temperature sensor touches a heating element OR your speed sensor is subjected to a shock from a defective motor with earth line broken. Such situations happen in the field, even at home or lab. Sometimes it is carelessness, other times it is wear-tear. Many times it is breakdowns, accidents etc. So do not let the High voltage to get at your Microcontroller Board. 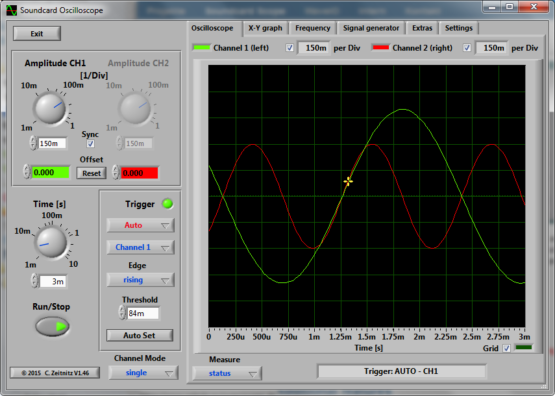 The Soundcard Oscilloscope receives its data from the Soundcard with 44.1kHz and 16 Bit resolution. The data source can be selected in the Windows mixer (Microphone, Line-In or Wave). The frequency range depends on the sound card, but 20-20000Hz should be possible with all modern cards. oscillocope in order to generate Lissajous figures in the x-y mode. I was enlightened about this Battery Less wonder. This is a boon for rural areas and an emergency tool which depend only on your will and your tendons. I found this bright flash of information when i was looking for supercap vendors. Richard J. Nelson on the LED Forever Flashlight. – The future of low power lighting is in the use of the Light Emitting Diode, LED. Sooner or later you will buy one or more LED lights or lamps. The two primary advantages of an LED light source is it’s efficient light generation (exceeding that of fluorescent lamps) and long life, typically 100,000 hours. That is 50 to 100 times more life than most of the bulbs in your house. 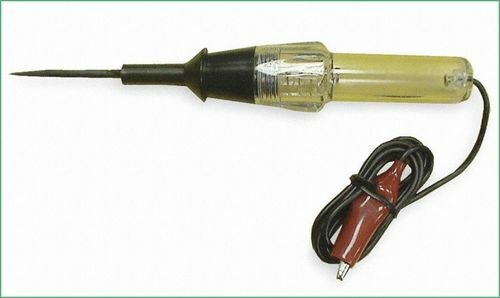 This is a Linear Dynamo LED Torch which uses a SuperCapacitor to store the energy. Easy to repair and maintain if necessary. It uses no batteries and requires only the single LED included. You can even leave the flashlight unused in your car’s glove box for years and you’ll always get that all-important light when you need it most. Forever Flashlight lll pays for itself quickly by saving you the cost of batteries and bulbs. 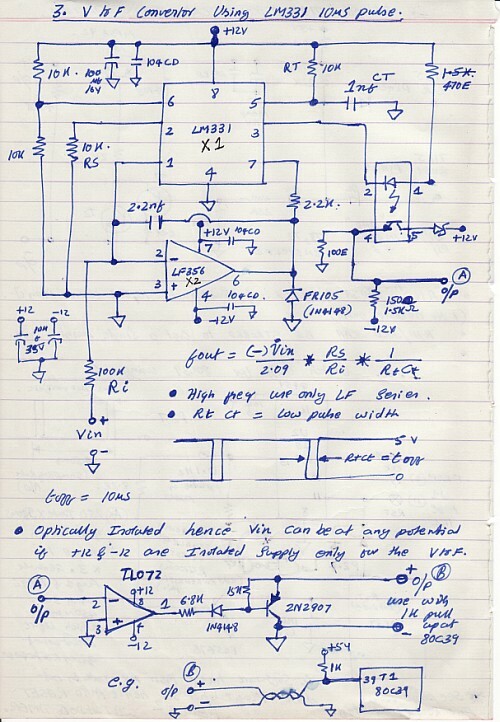 Offering free comprehensive basic electronics tutorials in amplifiers, antennas, ham radio, filters, oscillators, power supply, receivers, test equipment, transmitters, radio design and electronics design. Links to data sheets and electronics reference and text books. Amateur Radio, Amplifiers, Antennas, Basic Electronics, Ham Radio, Oscillators, Test Equipment. Starting out you need to cover simple electronics which encompasses the topics of ohms law, voltage, current, resistance, capacitance, inductance, reactance, impedance and Q. Further topics in these electronics tutorials are power supply basics as well as digital basics. A voltage controlled oscillator or as more commonly known, a vco, is an oscillator where the principal variable or tuning element is a varactor diode. Online edition of US print magazine Nuts and Volts. Aimed at the electronics hobbyist, with articles covering amateur radio, cellular communications. Nuts & Volts is written for the hands-on hobbyist, design engineer, technician, and experimenter. The diversity of subjects appeals to all levels of experience and spans such topics as amateur robotics, circuit design, lasers, computer control, home automation, microcontrollers, data acquisition, new technology, DIY projects, electronic theory, and more, not to mention the popular BASIC Stamp. If you’ve been following the 16-Bit Micro Experimenter series in Nuts & Volts, you are already familiar with its solderless breadboard environment and the fully programmable 10 line I/O expansion bus that comes with the kit. The 10 lines can be assigned to be digital, analog or even connected to any of the PIC24F Microcontroller’s internal extensive peripheral set (i.e. dual UART, five CCP modules, ADC, Real time Clock Calendar, dual SPI, and dual I2C). A small power supply with +5V, +12V, and -12V outputs is a handy thing to have around when you’re breadboarding circuits with both op-amps and digital ICs. You would want a switching regulator for efficiency, but linear regulators for low noise. Plus, it should be easy to build and relatively inexpensive. Totally open source, including hardware, software & Android API. Learn how to create a Platform to connect smartphones with the real life. The Bluetooth Multimeter is based on Atmega328 – Arduino Pro. It measures the voltage and resistance and current input from the headphone jack, and then sent these data via the Bluetooth frame. This Bluetooth Multimeter is a portable multimeter, a device that gathers the voltage, resistance and current. and then sent these data to other device via Bluetooth, so, we could display the data through other devices, such as Android, PC and so on.